This is a unique take on vampires. The story is new and original. The narrator does an incredible job of bringing this story and the characters to life. I'm looking forward to the next book in the series! The narrator delivers this information in a very engaging way. The information is presented very well. 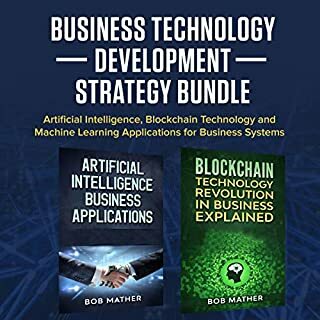 Los Angeles - Jake London's ideal teen life is thrown into chaos when he discovers the ability to control a swarm of shape-shifting nanotechnology that has, until recently, lain dormant in his DNA. 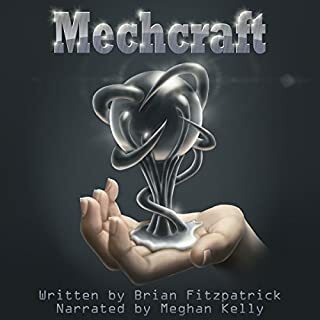 Mechcraft is the skill of controlling the nanotech and summoning and creating tools, weapons, and even machines. Being the first ever born with the nanotech, warring factions desire to use him for their own sinister ends. Now, with two Mechcraft agents at his side and a horde of enemies chasing them down, Jake finds himself in a desperate race to safety. As a truck driver for over 25 years I have listen to literally thousands of audiobooks. I started listening way back when they were 'books on tape' and you occasionally had "smack the tape smartly on a flat surface" if wouldn't play correctly. So trust me when I say if you enjoy science fiction you need this book! 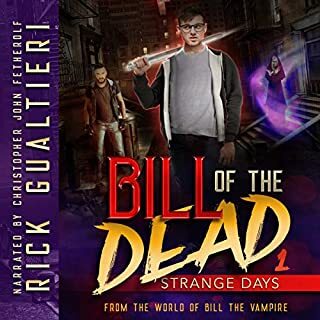 The author, to my understanding this is his first book, did an outstanding job creating characters that you care about and put them in situations that are exciting and gripping. I hope there still be more books. The narrator of an audiobook can destroy a great story if done poorly or make a lackluster story become great. In this case I can honestly say I just found a narrator with a voice and delivery that if she read the phonebook to me I'd listen in rapt attention. A job very well done by both the author and the narrator! 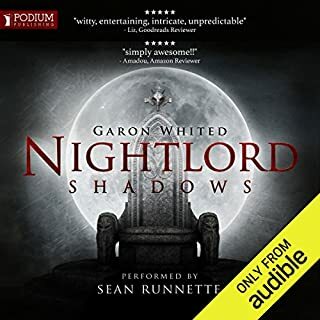 As always, Sean Runnette brings the characters to life in a way that causes the listener to become completely invested in them and lost in world they inhabit. What would you do if you won a dream holiday? For newly-weds Laurelyn and Elijah, it was a dream come true. They could finally have the honeymoon they could never have afforded on their own. Their excitement is tangible as they leave for Spain. With their arrival in Spain, they soon realize things aren’t as they should be. Instead of a hotel, they are taken to an isolated Asylum. They will be lucky to leave alive. This short story was a fast paced, enjoyable adventure that you fit in a 30 minute lunch break. It was a fun listen. Sean Runnette brings the personality of the characters to life. Her delivers the emotion that brings these characters to life. 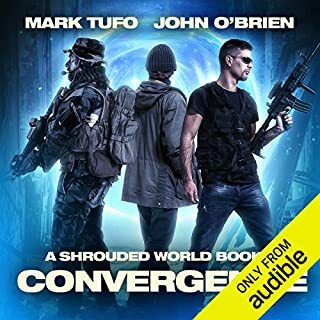 Mark Tufo has become one my favorite authors. I recommend all of his books. He has created an incredible multiverse of characters that begin to feel like family and friends. this is your must have zombie series! 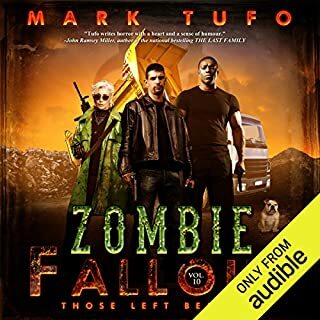 Mark Tufo writes amazing stories and Sean Runnette brings these characters life with perfection. The epic tale of a boy, his sword, the legend he builds, and the legacy he leaves behind. 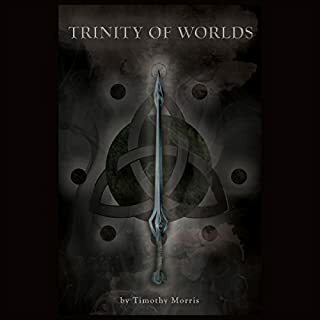 Trinity of Worlds chronicles the journeys of Tavrotti Sun through the three realms as he seeks the ultimate challenge. When he finally returns home, he notices that everything has changed, including himself. If you could sum up Trinity of Worlds in three words, what would they be? Nick Cracknell has the type of voice that I have come to associate with great fantasy stories. He delivers a excellent performance with all the emotion the story requires. Timothy Morris has created a rich and deep world that is easy to get lost in. 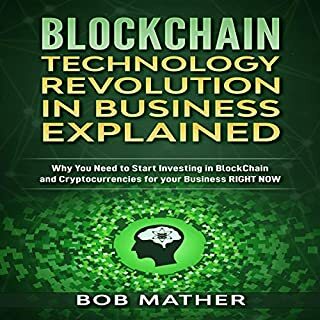 I listened to this audiobook straight through in one night. 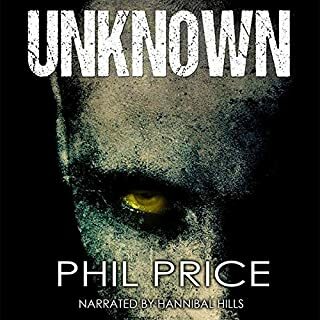 I am hoping that the other books in this series will be released in audio format. Great job Tim and Nick! I highly recommend this book to any fantasy fan.